Written by Studio1337 on May 23, 2011. It’s been a little while since we’ve made a launch announcement, and we are proud to make this one. 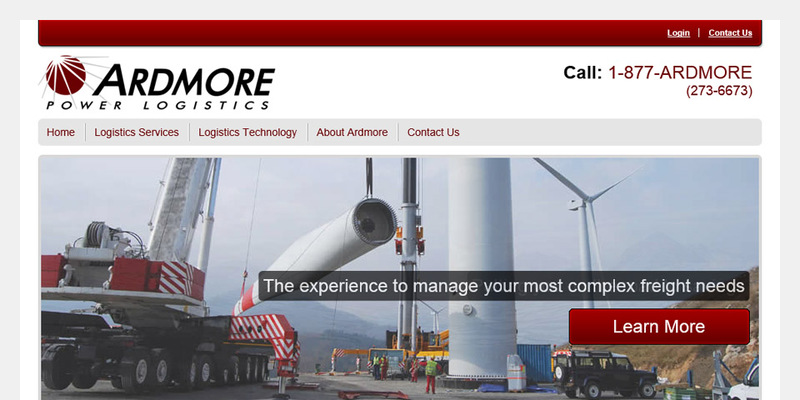 We’ve officially launched the redesign of Ardmore Power Logistics, the leading 3PL company for energy utilities and vendors in North America. We are in the process of polishing up a number of additional items for Ardmore now, including new proposal folders, business cards, sell sheets and stationary. Ardmore is a very professional business that provides critical services to very large companies. They needed a site and a more cohesive brand that both matched and communicated the strength of their market position and their overall industry value. Ardmore is an industry leader, and they deserve to look like what they are. We had a lot of fun getting them there, and we’re confident their investment in our services will pay for itself quickly.